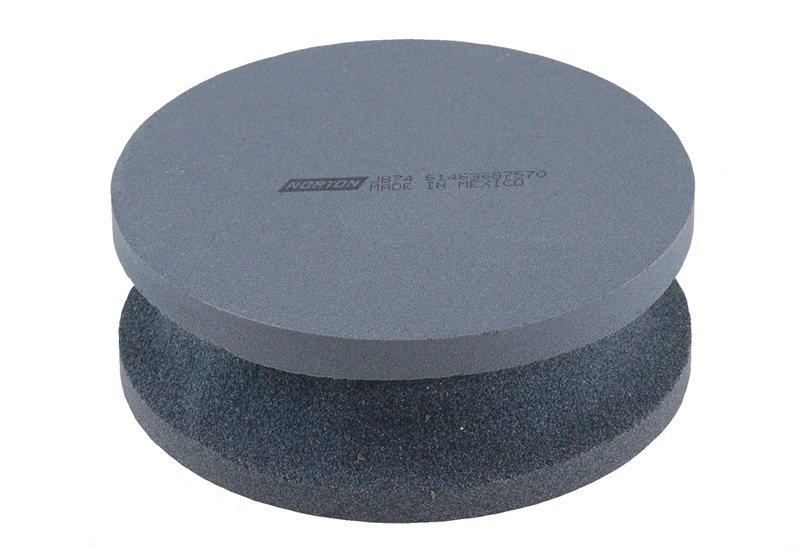 This 4" round silicon carbide (Crystolon) stone has both a coarse side (120 grit) and a fine side (320 grit). 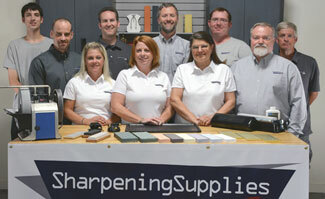 Used for sharpening and honing paper and cloth-cutting knives and planer knives. The groove around the middle of the stone protects fingers and provides a secure hold. 4" in diameter by 1.5" thick.